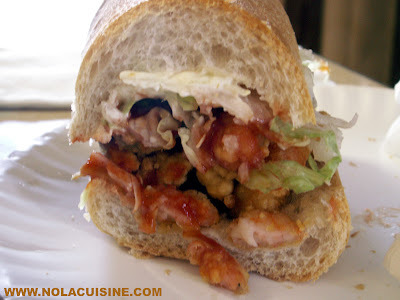 Nothing gets a lover of New Orleans cuisine more misty eyed than dreaming about a good Po-Boy on real New Orleans French Bread when they’re outside of the city. The reason is that it can’t really be duplicated outside of the city because the bread makes the sandwich, and you can’t find the bread outside of New Orleans. I’ve tried to duplicate that Leidenheimer bread so many times that I’ve lost count, to hell with it. 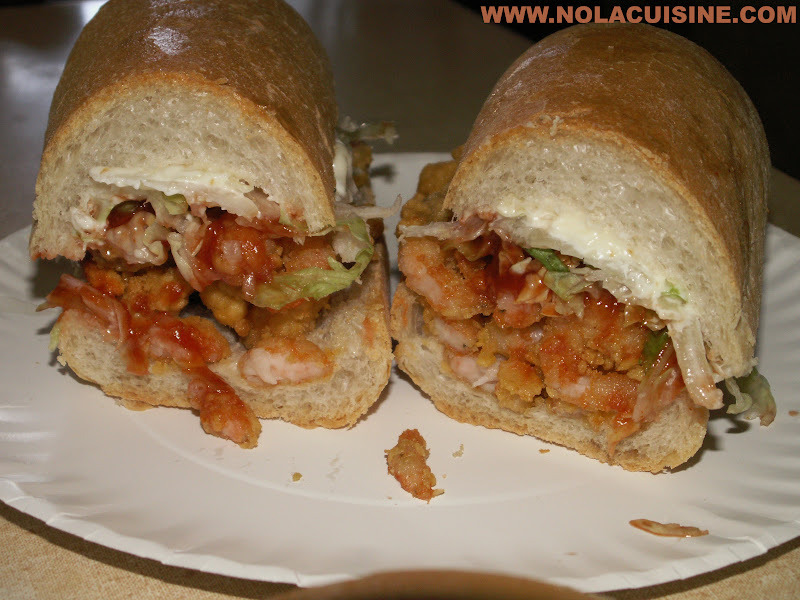 Maybe the Po-Boy is not meant to leave the city of New Orleans, and maybe that is a good thing. It leaves me something to dream about when I’m home, and is one of the many, many things that keeps me coming back to New Orleans, wide eyed as a young child, excited as hell to be there, and sad to leave. We had lunch at Domilise’s on our most recent visit in February, our first meal of the trip. Domilise’s is a lot like every other great neighborhood restaurant in the city, rough looking on the outside, (sometimes) even rougher on the inside (and I mean this in the best way), and stuffed with locals. You order at the sandwich counter and get your drinks and Zapp’s chips at the bar. We had Barq’s Root Beer in glass bottles and Zapp’s Hotter n’ Hot Jalapeno Chips, my personal favorite flavor. We were starving after a long morning of miserable air travel so we decided to kick back and do kind of a sampler of 3 different Po-Boys. Be sure and check out my ever growing Index of Creole & Cajun Recipes which has links to all of the recipes featured here at Nola Cuisine! Oh, this post sure did make me homesick. 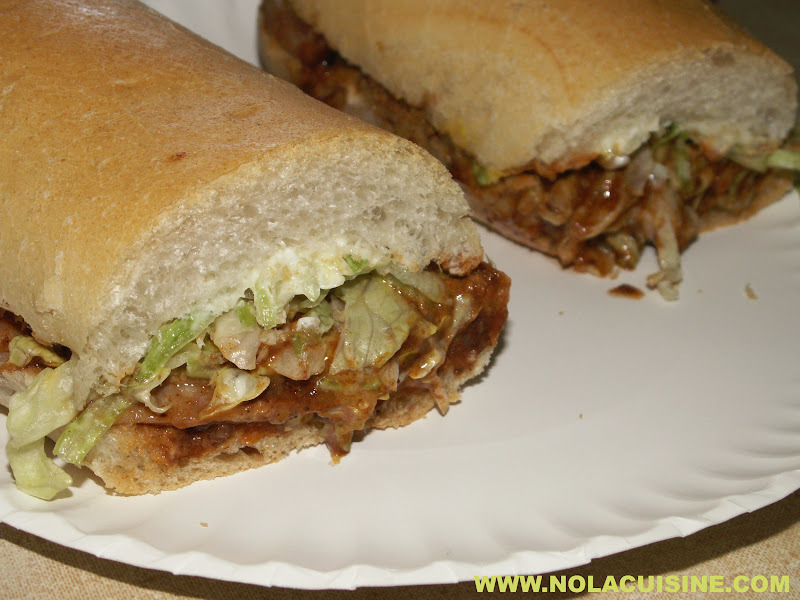 I just returned from a glorious long weekend at JazzFest and had the hot sausage (patty) po-boy at Parkway Bakery. I highly recommend it the next time you’re in town. Parkway has all the charm you speak of and the owner, Jay, is an incredibly warm and welcoming man. I really enjoy your blog and check it frequently. So thanks for the bright spot! 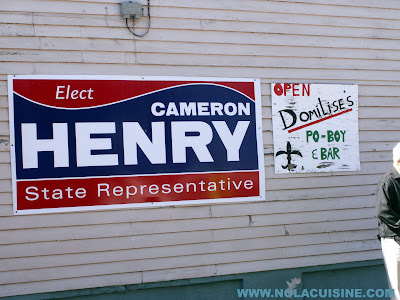 I agree that the roast beef poboy at Domilese’s is just okay. It’s kind of an afterthought and the meat does not have that fall-apart, debris quality that distinguishes the best from the rest. Fortunately, as you and I have both discovered, it is possible to make that quality roast beef at home. I’m an oyster po-boy fan myself. Domilises is a great place to eat. Domilises is a must-eat for everyone. Perhapos not the roast beef, though. I also vote you try Parasol’s next time. A restaurant owner moved to Houston and built a restaurant with plans to create the famous po-boy bread but it did not work. Supposedly they said New Orleans is below sea level which affects how the bread rises and bakes and they could not duplicate the bread. 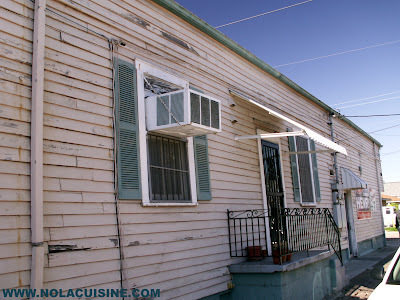 Who knows if this is true or folklore but life below sea level is unique to New Orleans just like the po-boy bread. 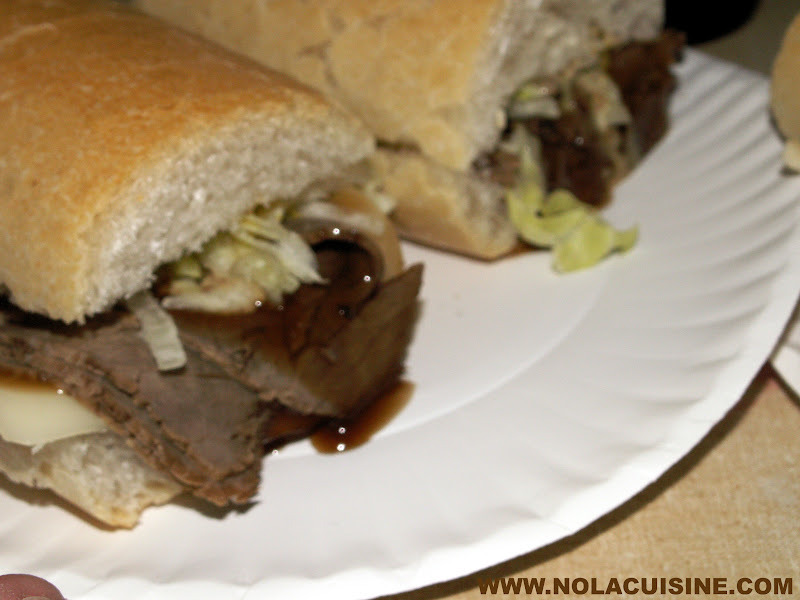 You can’t call it a roast beef poboy without tomatoes. This place was awesome! Take a number at the door, go to the bar and grab an Abita beer and wait patiently. Look around the place. When the food comes, it is great, way more than you can eat! 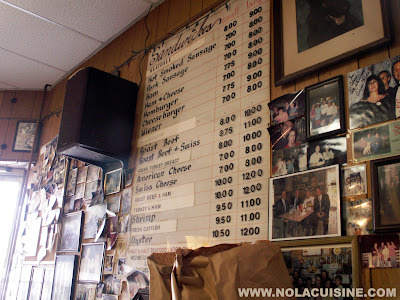 Be sure to tip the ladies that prepare your po-boy! We met the owner, down to earth beer drinking guy that loves to talk. Would go back everytime in NOLA!!! !